Earlier, we were unable to published the post here because at its current incarnation, 37prime is hosted by Dreamhost. We posted one at our WordPress.com-hosted blog. 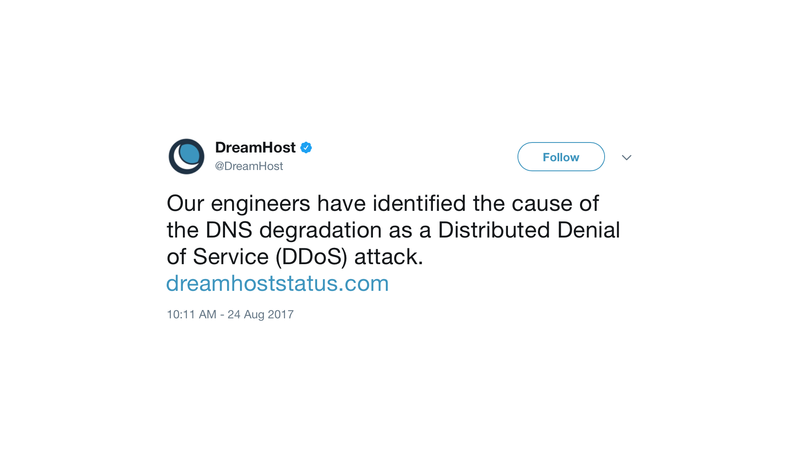 Dreamhost is currently in the news as the Department of Justice “demands that DreamHost hand over 1.3 million visitor IP addresses” for a site hosted by the company. The DDoS appears to be unrelated to the DoJ request above. It looks like it may be an Anonymous attack targeting the Dreamhost DNS to try to take a white supremacist website called ‘punishedstormer dot com’ offline. The website came online today and is hosted at Dreamhost. We will closely follow this news. Next PostNext Live from Steve Jobs Theater at Apple Park, It’s Tuesday Morning!